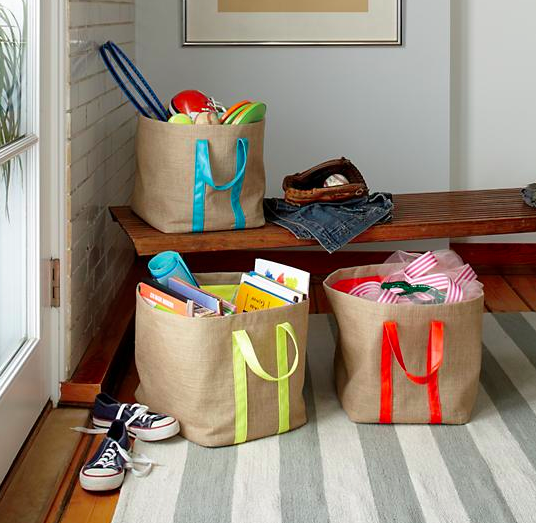 I found these Color Fill Jute Floor Bins in the Easter Basket section of Land of Nod and I LOVE this idea. Who needs a basket when you can fill one of these and they are useful for storage after? The Color Fill Jute Floor Bin is $19.95 and Land of Nod is offering free shipping on ALL Easter basket orders over $25 TODAY ONLY. They have some cute items so it’s worth checking out. « What’s Going In Your Child’s Easter Basket This Year?